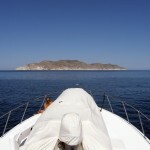 San Carlos Sonora is a boater’s paradise. No matter where you live in San Carlos, you’ll be within half an hour of navigable water. There are two marinas, charter companies, fishing tournaments, scuba diving and snorkeling.